Surf With Amigas offers surf yoga retreats that are open to all ages and all ability levels. 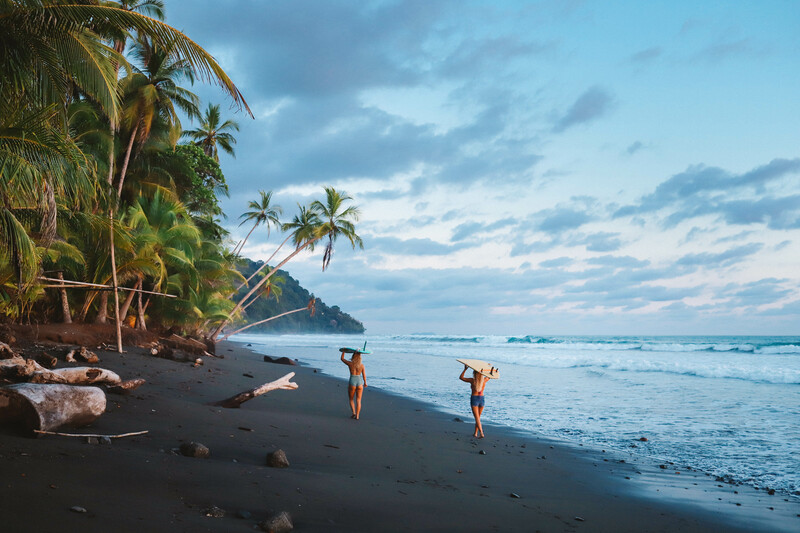 We had a mix of all of that on this retreat at our Northern Costa Rica location – from ladies who had been surfing a while to some who had never touched a board. There was an awesome mother/daughters trio who shared a party wave with all three riding. So fun! 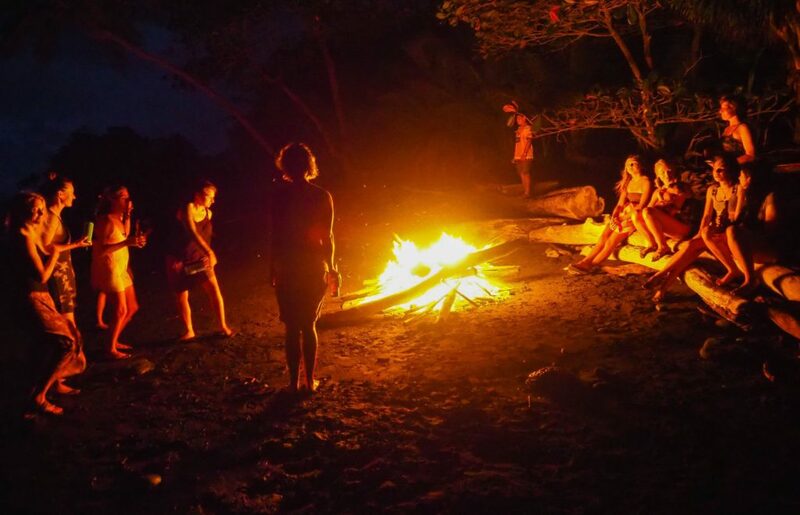 Our first retreat of the new season was an advanced shortboard retreat held in Northern Costa Rica. We scored some pretty amazing waves and most mornings we paddled out just after dawn which means we had the lineups to ourselves. Check out the highlight video! Pam LeBlanc is a journalist for the Austin Statesman. 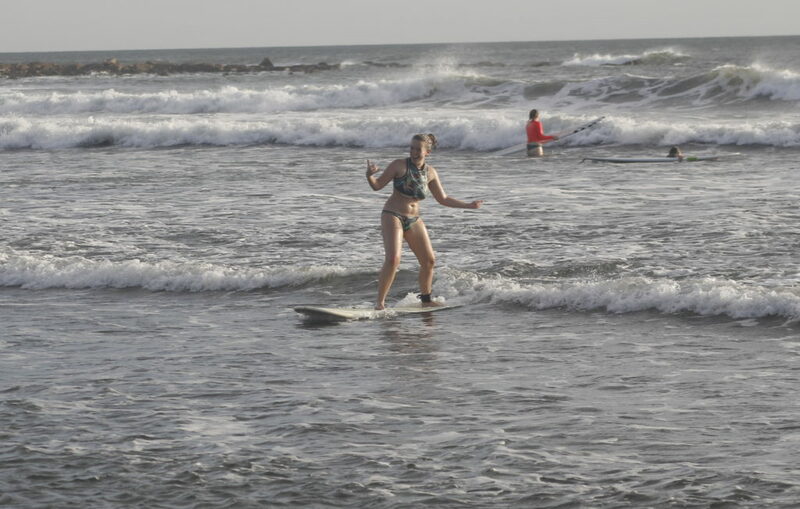 She joined us on a retreat this past summer to learn to surf and wrote about her experience. An excerpt from her exciting story is below, along with a link to the full article. Enjoy! Surf instructor Chloe demonstrates the nose ride on a long left. On the last day of surf camp, we head across the muddy gravel road in front of our cabins to a stretch of beach where the waves break big. There, the ocean curls over into industrial-size rolls of carpet, crashing in rapid-fire explosions of greenish-gray spray. The roar drowns out the squawking of the scarlet macaws, and I can’t draw my eyes away. Those waves look huge to me, much bigger than the “cute” ones we’ve been practicing on all week, even though I know that for seasoned surfers they’d present no problem. Surfboards in tow, 10 other women and I stare out to sea. Then we wade into the surf. We dash out, a few at a time, between the biggest sets, springing onto our boards and paddling furiously, jumping off and “turtling” them overhead to get through bigger waves. It takes 30 minutes for all of us to work our way safely past the break. Then we sit up, watching intently for just the right set. Before the first ocean session at all-women’s Surf With Amigas camp in southern Costa Rica, we gathered beneath a covered pavilion for some dry land briefings. We learned the parts of a surfboard, the basics about wave formation and how to get up on a surfboard. Instructors broke the pop-up technique into steps, and we practiced on yoga mats. Then we headed to the beach in a van loaded with colorful boards, music pulsing out the windows. For the next five days, our group broke into two — beginners like me and more experienced paddlers. We visited two nearby beaches, and one day rode a boat to catch a wave off the Osa Peninsula. We paddled into swell after swell, missing some and catching others. Gradually, things got easier. I grew comfortable hopping onto the board and easing myself into the standing position. I didn’t always get it, and fell off pretty quickly when I did, but I swooned every time I felt that sweet push when I caught a wave just right. After a few days, I could turn down the line, riding a small wave as it broke toward shore. The other campers and I cheered each accomplishment, and at the end of every session we snacked on fresh watermelon and pineapple. Then we headed back to our cabins, no-frills, cement-floored shelters without air conditioning or hot water but with plenty of charm. Sure, we all went nuts when a local woman stopped by to paint toucans and palm trees on our fingernails, we descended like vultures when organizers pulled out an array of teeny-weeny bikinis available for purchase, and we staged the greatest slumber party of all time one night when we made chocolate from scratch, sipped wine and braided each other’s hair. But make no mistake: This was no frivolous get-together. We came to surf. Last night bonfire with new friends. We love Nicaragua and Can’t wait to be back! 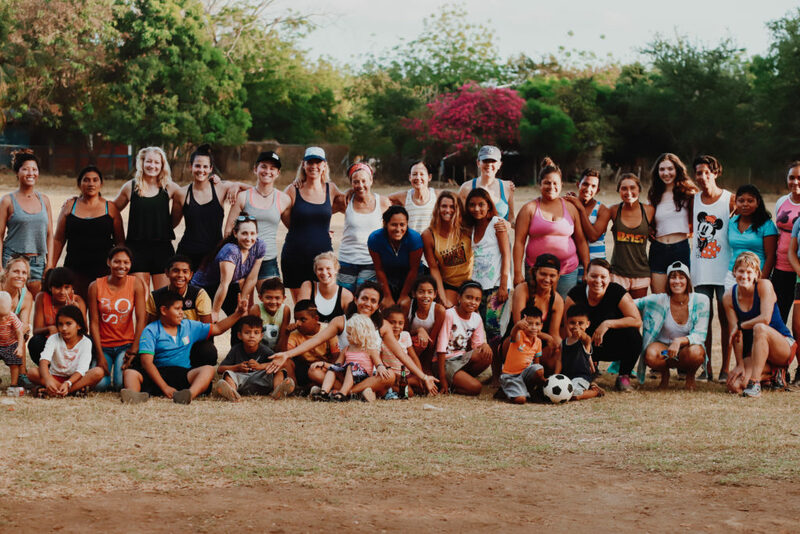 Up until June 2018, Nicaragua was the primary location to join Surf With Amigas on a weeklong adventure of surf, sun, new friends, and awesome good times. When anti-government protests broke out in April of 2018 and turned violent, we hoped they would pass quickly. Months later, daily bad news led us to make the very difficult decision to temporarily shift all our retreats to Costa Rica. You can read more details about the situation in a blog post we published in June via this link. Right now the situation is much calmer, but the struggle isn’t over. The Nicaraguan people have decided they want a new president, but his term isn’t up until 2021 and he has shown no signs of stepping down early. For now the situation in some areas of the country, particularly the areas around universities, is still tense. Protests and the government response to those protests are ongoing. But, word from our friends on the ground is that everything at the beach is now, and has always been, totally peaceful. Tourists can travel freely and safely between the Managua International Airport and the coast. Once at the beach, the situation is like it was eight or nine years ago – great waves with many fewer surfers in the water! Most of our staff that had built a life in Nicaragua are returning this year. I am going myself for two weeks in October and bringing my 2 and 4 year old kids. I obviously wouldn’t be doing that if I was worried about safety. I will also be there for a month in Jan/Feb and we have decided to add one retreat to the schedule during that time. 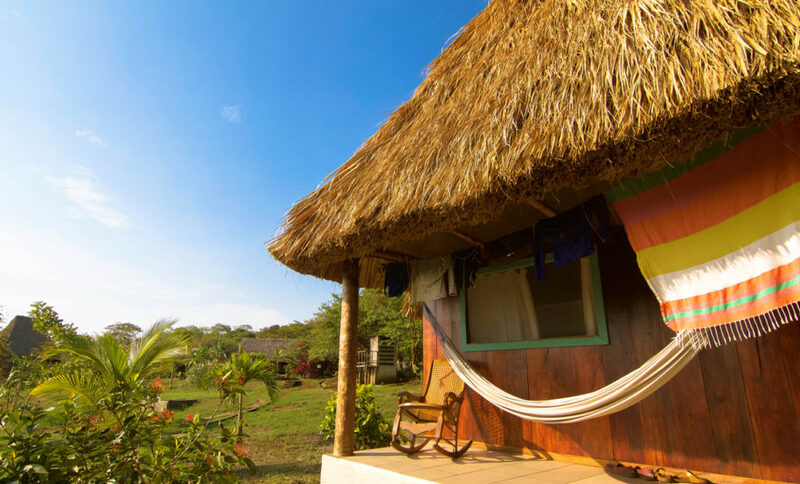 February 9-16 we will be running a one week retreat at our old home base in Northern Nicaragua. We’ll open it up to men and women in case you ladies would feel better bringing your menfolk along. February is a great month with all day sun and typically awesome wind patterns. That week also has high tide mornings which is ideal for the best breaks in the area. Our local friends and partners might be even more excited than I am. The sudden drop in tourism has left so many Nicaraguans without work, struggling to feed their families. They need us to return! 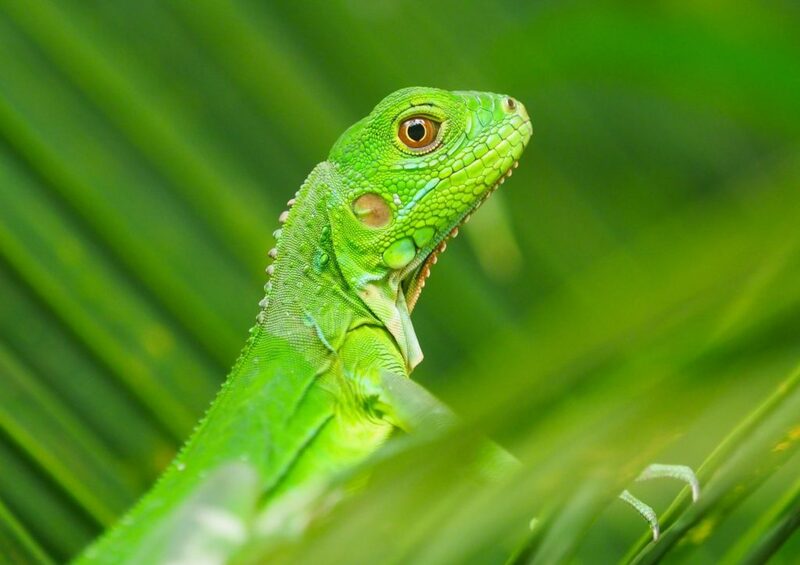 In July we hosted an advanced retreat in Southern Costa Rica. The advanced retreats are open to ladies that do have a solid amount of prior surf experience and are working on more complex turns, style, and higher level skills. This particular week we were a bit unlucky with swell. The waves were on the smaller side, but as you can see, it’s never flat and we still had plenty of surf to work with. The guests got video coaching with former pro surfer Holly Beck and participated in classroom sessions on style, how to read a surf forecast and the differences between surfboards. Check the schedule for our upcoming advanced retreats!